ROBERT MAGGIO (www.robertmaggio.com) is an American composer and collaborator; he has created works in many genres, connecting a “wondrously eclectic vocabulary” (New York Times) with a diverse body of commissions, ranging from orchestral works to chamber music, and ballet scores to musicals. Robert’s music has been called “lyrical, passionate, melodic, and rhythmically charged” (American Record Guide), and has been performed by the Philadelphia Orchestra, the Boston Pops, the Atlanta Symphony and the Cincinnati Symphony. 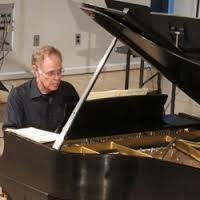 He has composed commissioned scores for Pennsylvania Ballet and Ballet X, and songs and incidental music for Philadelphia Theatre Company, Yale Repertory Theater, Peoples Light and Theater Company, and Shakespeare Santa Cruz. A member of the BMI Musical Theatre Workshop, Robert is working on musicals with lyricist/librettists Amy Buchwald, Matthew Hardy, Michael Hollinger, Kristin Maloney and Justin Warner. Published by Theodore Presser Co., Hickman Music and Yelton Rhodes, his is music is recorded on the Summit, New World and Albany labels. He is the recipient of awards from the Pew Fellowships in the Arts, Guggenheim Foundation, American Academy of Arts and Letters, New Music USA, ASCAP, BMI, and the Pennsylvania & New Jersey Arts Councils. A graduate of Yale and the University of Pennsylvania, Robert teaches music theory and composition at West Chester University. 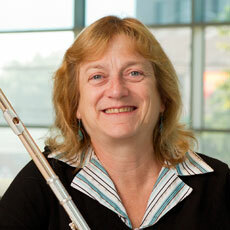 MIMI STILLMAN is one of the most celebrated flutists in the music world, critically acclaimed for her brilliant artistry, passionate interpretation, and innovative programming. Hailed by The New York Times as “a consummate and charismatic performer”, she has appeared as soloist with orchestras including The Philadelphia Orchestra, Orquesta Sinfónica de Yucatán, Bach Collegium Stuttgart, Indianapolis Chamber Orchestra, Chamber Orchestra of the Triangle, and Hilton Head Orchestra, and as recitalist and chamber musician at venues including Carnegie Hall, The Kennedy Center, Philadelphia Chamber Music Society, Smithsonian American Art Museum, Brooklyn’s Roulette, Verbier Festival in Switzerland, Bard College, La Jolla Chamber Music Festival, and Kol HaMusica in Israel. A wide-ranging and innovative artist, Ms. Stillman celebrates the canon while deeply exploring new music and Latin genres. Her “Syrinx Journey”, with which she honored Claude Debussy on his 150th birthday by making a video of his three-minute masterpiece “Syrinx’ every day for one year, captivated a global audience. As founding Artistic Director of Dolce Suono Ensemble, she has created a dynamic force in the music world highly regarded for its chamber music concerts of Baroque to contemporary music. Featured as Chamber Music America’s “American Ensemble”, Dolce Suono Ensemble boasts 44 commissioned works in 11 seasons. Ms. Stillman has premiered works by eminent composers including Jennifer Higdon, Shulamit Ran, Richard Danielpour, Steven Mackey, Mason Bates, David Ludwig, and the late Steven Stucky. Ms. Stillman has enjoyed fruitful collaborations with artists including Lucy Shelton, Eric Owens, Juan Diego Flórez, Julius Baker, Paquito D’Rivera, The Dover Quartet, Anthony Newman, and Roberto Díaz, and recorded a film soundtrack for Kevin Bacon. At the invitation of Plácido Domingo, Ms. Stillman and Dolce Suono Ensemble enjoy a partnership with Washington National Opera’s Domingo-Cafritz Young Artist Program. Orchestrally, she has played under the baton of conductors including Simon Rattle, André Previn, Wolfgang Sawallisch, Marin Alsop, and Robert Spano. With an extraordinary range of accomplishments and intellectual interests, Mimi Stillman made the leap from child prodigy to inimitable artist. At age 12, she was the youngest wind player ever admitted to the Curtis Institute of Music where she studied with the legendary Julius Baker and Jeffrey Khaner. She went on to receive a MA and PhD (abd) in history at the University of Pennsylvania, and is a published author on music and history integrating scholarship with her artistic vision in projects with her hallmark, thought-provoking depth. She is lauded for expanding the flute repertoire through her arrangements and compositions among them her award-winning Nuits d’Étoiles: 8 Early Songs of Claude Debussy (Theodore Presser). She can be heard on several recordings including her critically praised “Freedom”, music for flute, piano, and the human spirit, and “Odyssey: 11 American Premieres” (Innova), both with her longstanding duo pianist Charles Abramovic. Curt Cacioppo is a composer whose expressive power and emotional appeal continue to captivate listeners and performers worldwide. A person of great human feeling, he derives inspiration from sources as diverse as the medieval poetry of Dante, aspects of Native American culture, or the vernacular music he grew up with. 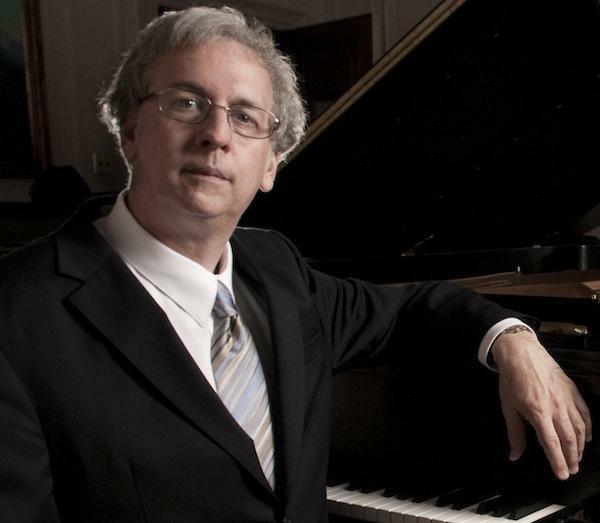 His creative work is founded upon a virtuoso background of solo and collaborative piano playing, and he pursues an active role as pianist on stage and in recording. An engaging speaker and writer on a wide variety of musical topics, he is able to communicate his enthusiasm for the art to a broad constituency. Lori Barnet is a graduate of Bennington College. Her primary teachers include Robert Newkirk, George Finkel and Barbara Stein Mallow on cello, Phoebe Carrai on baroque cello, and Josef Gingold, Artur Balsam, Joseph Fuchs and Jacob Glick on chamber music. She is principal cellist of the National Philharmonic, Wolf Trap Opera Orchestra, and Philadelphia’s Orchestra 2001 where she holds the Dell Venarde Principal Cello Chair. She has appeared as soloist with the Augusta (GA) Symphony, Alexandria and Mclean Symphonies, Orchestra 2001, National Philharmonic, Washington Chamber Symphony and several university ensembles. She was principal cellist of Penn Contemporary Players (Philadelphia) and the Contemporary Music Forum (DC), each for 20 years, and served five seasons as the continuo cellist on period instruments for the Washington Bach Consort’s cantata series. Other appearances as a baroque cellist include those with the National Cathedral Baroque Orchestra, the Vivaldi Project, Ensemble Gaudior, ArcoVoce, Kontra Bande and with the National Gallery of Art Vocal Ensemble. She has toured in Russia, Italy, Denmark, England, Cuba, and China and recorded for Orion and CRI. She has been a faculty member at The George Washington University since 1991 where she teaches cello, coaches chamber music, and appears regularly with the University’s faculty performance ensemble, the Columbian Consort. A native of the Philadelphia area, David Nelson was born in Bucks County Pennsylvania, a suburb of Philadelphia. He attended Temple University for his Undergraduate and Masters degrees in Percussion Performance and now resides outside of Philadelphia. David has made a career of free-lance percussion and timpani work both in the Philadelphia area and around the world. Angela Zator Nelson was appointed as Section Percussionist and Associate Principal Timpanist to the Philadelphia Orchestra in 1999. A native of the Chicago area, she graduated from the Northwestern University School of Music. She then continued her education in Philadelphia at Temple University where her principal instructor was Alan Abel of the Philadelphia Orchestra, whom she later replaced. Angela graduated in 2001 with her Masters degree in Music Performance. Bob Beach has been singing and playing harmonica and flute professionally for more than 30 years. Born and raised in the Philadelphia area, Bob relocated to Western PA after high school. From 1976 to 1997 Bob worked in bands and other musical projects based in the city of Pittsburgh. While there Bob was a mainstay of the blues, rock and country scenes. 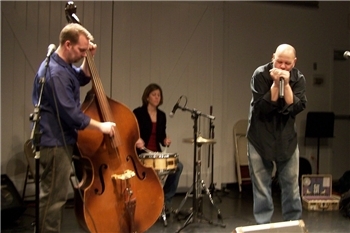 In 1997 Bob came back to Philadelphia and has continued performing and recording. He has supported a number of local and touring musicians, both live and in the studio.